Top Ten Tuesday is hosted by The Broke and the Bookish. This week’s Top Ten Tuesday is Top Ten Books That Would Be On Your Syllabus If You Taught X 101. This is actually a really difficult topic and took some time to think about, unlike the previous ones where I was pretty quickly able to come up with a decent list. I decided to go with a course of Dystopian Literature, since I’ve actually had this conversation with a professor and some other grad students, in which we started planning a Dystopian Literature course that didn’t come to fruition. There are a lot of books that are considered great dystopian literature that aren’t on this list, not because they don’t deserve to be but because I was trying to pick books that also paired with each other to create topics within a course. There are also a few books on this list that I haven’t actually read, but I feel would need to be read for this type of course (I’m not going to say which, because I’m honestly a little ashamed I haven’t read them). Each has an interesting, and very different look, at woman’s role in society in the future. It would be interesting to compare them with each other, and the rest of the books on this list. One recent popular novel and one classic, to compare the views and the role of competition in the future dystopian society – as well has how government control is exerted through competition. 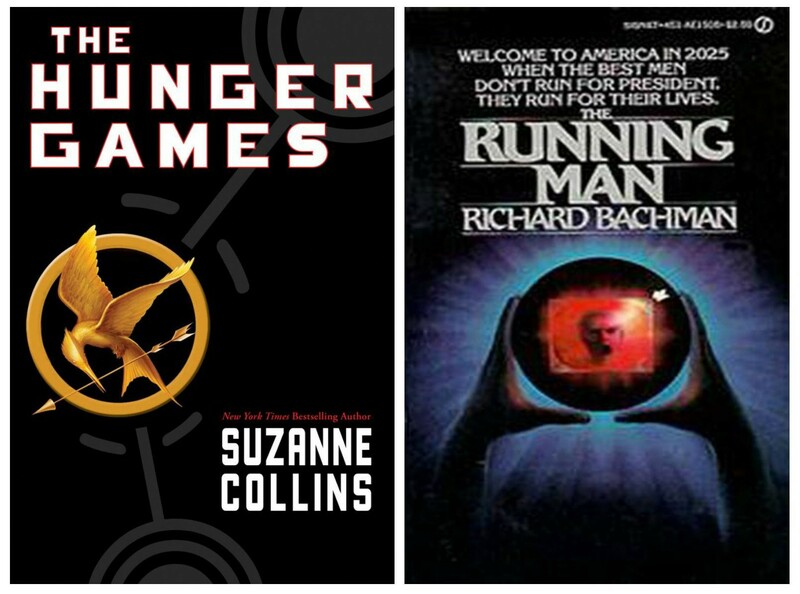 Following the above discussion of government using competition to control society, these novels will help further the discussion on the role of government in the dystopian society. On the opposite end of the spectrum, what happens when most of humanity is wiped out, and those who remain struggle to survive with no apparent government? 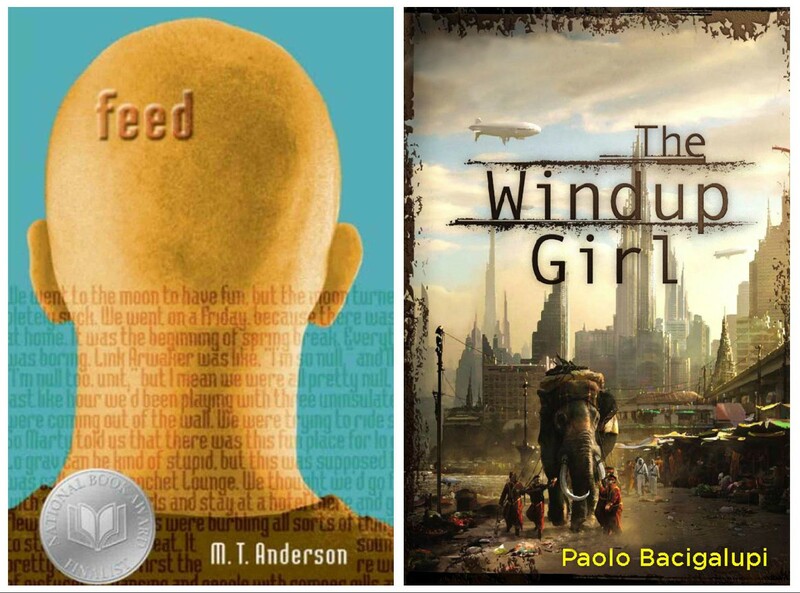 Feed may not seem dystopian in nature, but it’s an interesting look at how dependent our lives can become on technology while The Windup Girl is just an interesting look at science in the future in general. I adore the idea of categorising them all into different types of Dystopian. These are great choices too! Also, please take the time to enter my giveaway! Between 1984 and Fahrenheit–so many great classic choices here! I need to get to The Road as well as it seems like another staple to this subgenre! 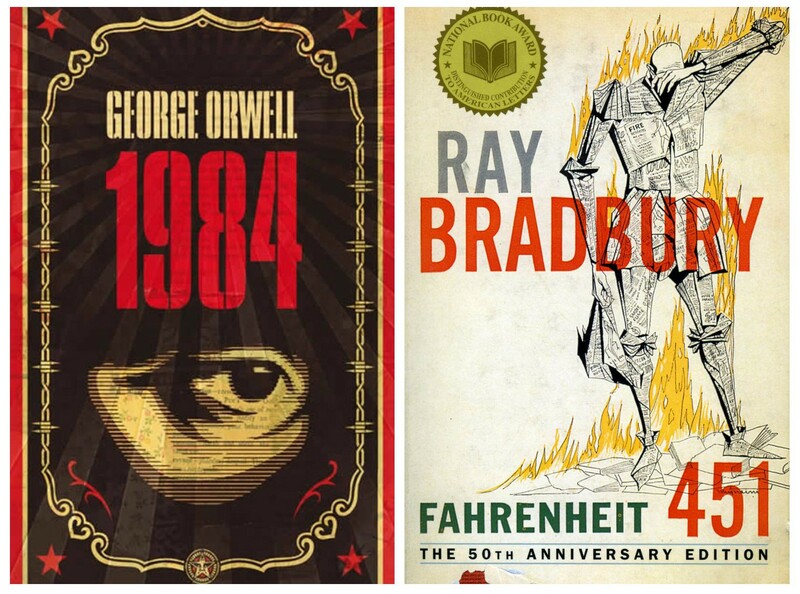 I’ll be honest – 1984 and Fahrenheit were the ones I was ashamed to admit I haven’t read yet. I own both and plan to get to them this fall. 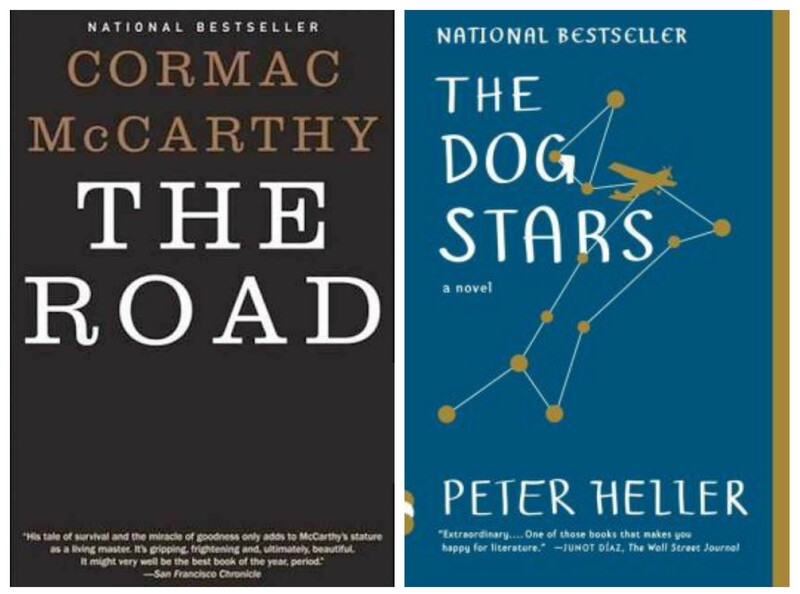 The Road seems to be a love it or hate it kind of book, but I loved it. I like how you broke your list of 10 into sections. I have a crazy amount of love for Brave New World by Aldous Huxley, and I read an interesting article by Margaret Atwood years ago about how modern society kind of shifts between the Huxley world and the 1984 world. I did the same sort of list this week although mine is pretty different to yours as I focused solely on YA dystopia. I liked your list! I think there are a few I’m going to need to add to my TBR list. Thanks! Ah, what these lists are always useful for! The Giver is another I’m ashamed I still haven’t read. It’s in my giant TBR stack though!